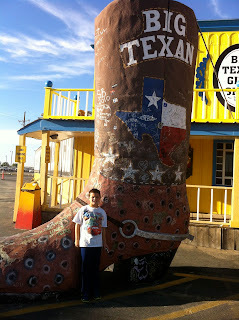 We made it to Amarillo in about 4 hours from Pops. 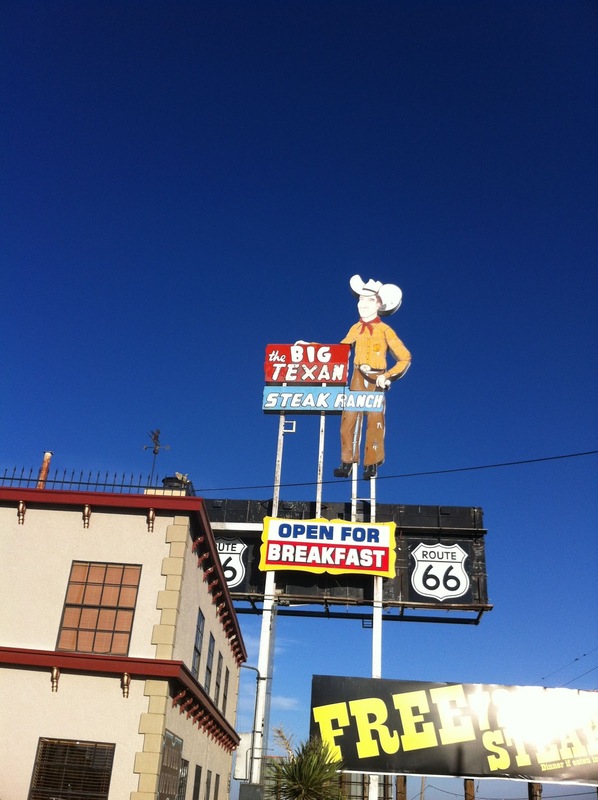 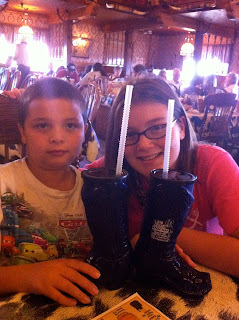 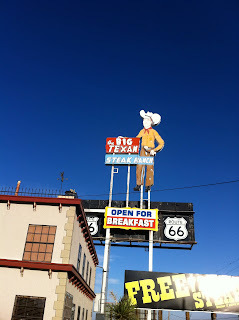 We checked in a hotel and then went to eat dinner at the Big Texan. 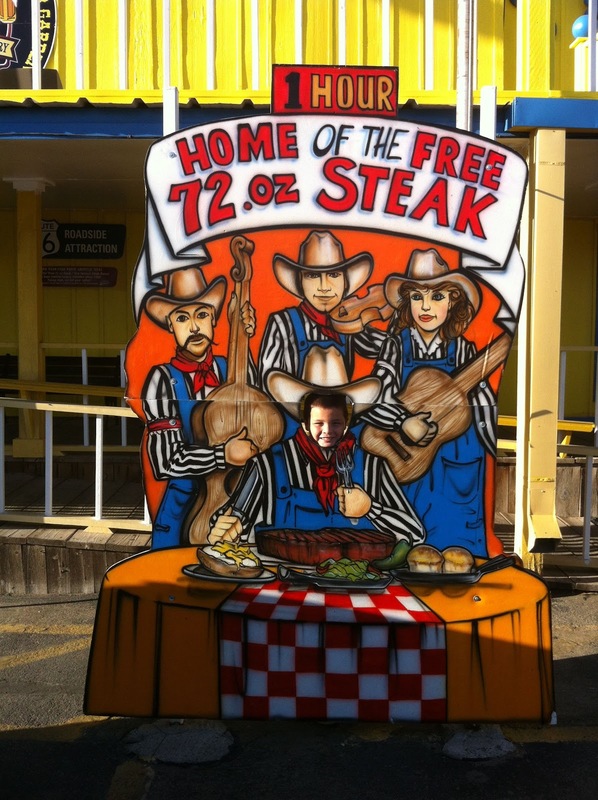 This restaurant is famous for having a 72oz steak that you get for free if you eat it in less than an hour. 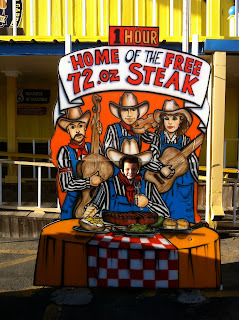 No one tried that while we were there. There is a lot of good photo ops at this place. 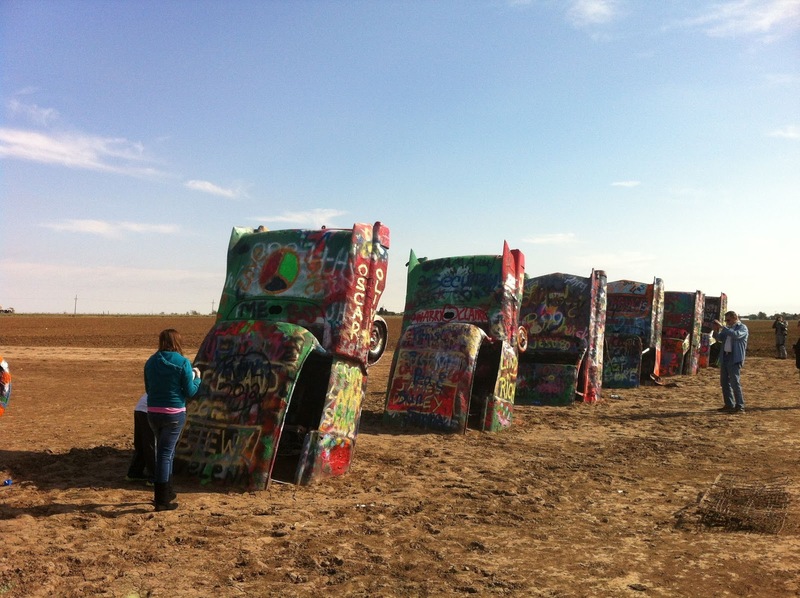 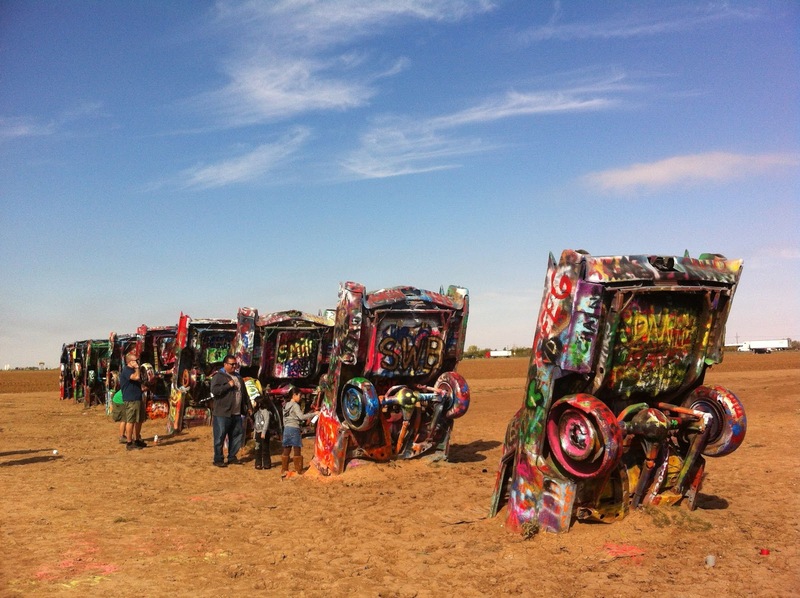 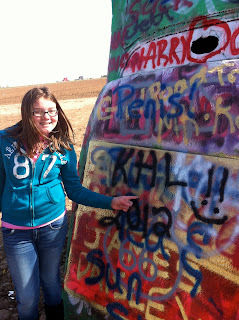 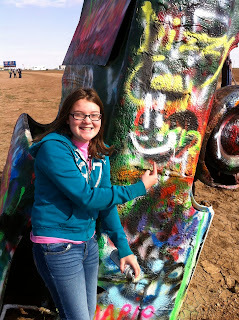 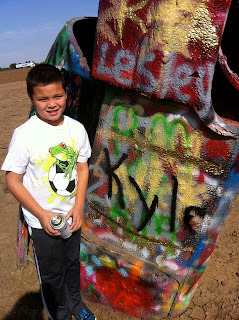 On our way out of town the next morning we stopped to see this cadillac ranch that I had read about. 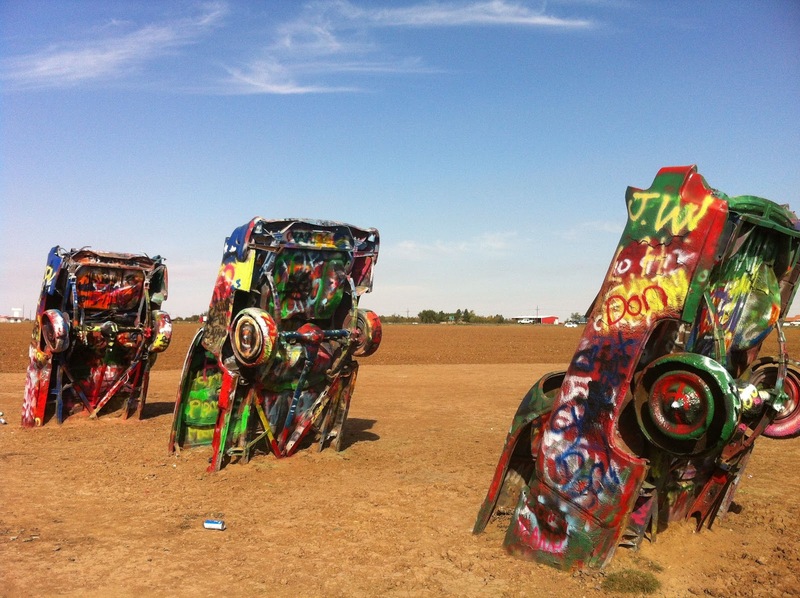 It is just 10 old cars that are stuck in the ground off the side of the interstate. 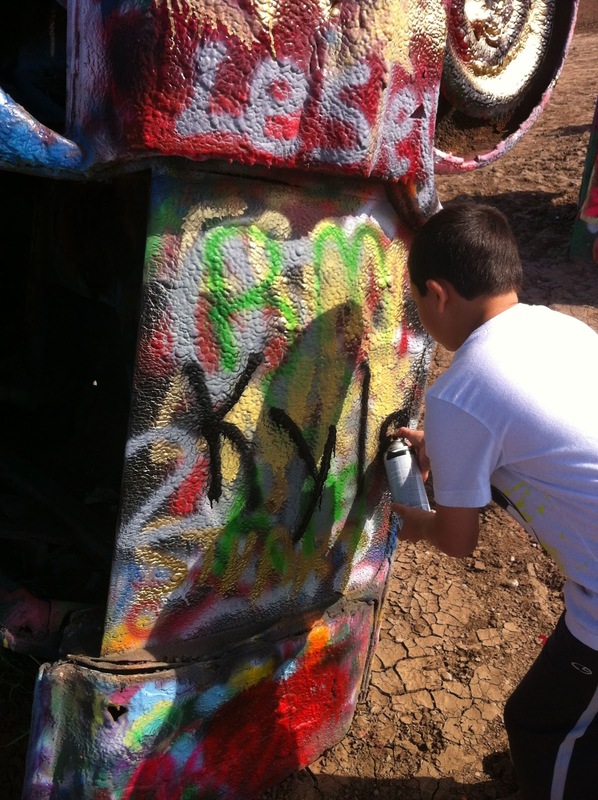 Someone gave the kids some leftover spray paint as they were leaving and they were thrilled. So if you ever go through Amarillo, make sure to stop and see these cars and take some spray paint with you. It was worth the 15 minutes or so that we spent there but would have been more fun if we had our own spray paint.